Long Term Lets and Rentals in Torrevieja, Spain. 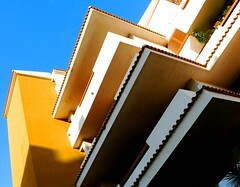 Renting a house, villa or apartment in Torrevieja on a long let or long term rental is a great idea. A long let in Torrevieja is ideal for people who want to get to know the areas of Torrevieja before they buy a property. A long term rental in Torrevieja or a long let in Torrevieja is perfect because you can even keep moving from area to area in order to experience the differences. Often people buy a property in Torrevieja without having any knowledge of the area or spending anytime in Torrevieja first. Once they get to know the area they often wish they had bought their property in a different part of Torrevieja. Of course many people opt for a long term let in Torrevieja because they don’t want to buy a property in Torrevieja. It may be that they can’t afford to buy in Torrevieja or that they are saving or thinking that property prices in Torrevieja may come down. Whatever the reason for wanting a long let in Torrevieja or a long term rental in Torrevieja you will find a limited amount of rental properties available. This is because as a popular holiday town Torrevieja is very busy and full in the summer. Of course a property owner in Torrevieja may prefer to long let as it is consistent and they don’t have to keep finding new tenants each week and dealing with the work that goes into cleaning and making up a property on changeover days. Renting a house, villa or apartment on a long let or long term rental is a great decision if you are moving to Torrevieja on the Costa Blanca of Spain. So many people take a quick trip to Spain in order to buy a house and it is only later that they find out many truths about the area and location which causes them to regret making such a hasty decision. Buying a property in Torrevieja is such a huge commitment that renting first on a long term let or long term rental to try before you buy is so obvious, yet not enough people do it. When buying in Spain you have to pay 10% of the purchase price to the government so that is a lot of money down the drain if you want to move later on. A long term let or long term rental enables you to really feel what an area is like in different seasons. Some areas in Spain are too hot in summer and some areas are much wetter than people think (Barcelona area) and some areas are much colder in winter than people realise. It can even help you decide whether a move to Spain is really for you. One of the most important factors in moving to Spain is making a living and many people struggle and have to go back to their home country to make ends meet. You may find it hard to sell your house or apartment and may sell at a loss because you are desperate to move. Renting a property on a long term let basis in Torrevieja enables you to really get to know an area by talking to locals to find out where the best areas of Torrevieja are. It’s these little details that are crucial. Schools in Torrevieja are another good example that are very hard to research thoroughly until you are actually here. Now you are hopefully convinced, let’s talk about the details of long term lets and long term rentals in Torrevieja. Long term lets or long term rental contracts in Torrevieja are often referred to as Vivienda contracts. These should be much cheaper than short term lets because they are typically for a period of a year. You won’t be able to move out within incurring a penalty. After the first year you will usually be able to out with only a months notice. Long term rentals in Torrevieja usually involve putting down a deposit of a month or two in the case of furnished properties. Finding a long term let or long term rental in Torrevieja is not easy because in many areas people can charge such massive prices for summer holiday rentals so they don’t want a long term rental tenant in during these periods. The best places to find long term rentals or long lets in Torrevieja is through the local estate agents. At this time of year many villas and apartments will be empty so you can find cheap bargain prices for winter lets in Torrevieja. There is one major downside to a long term rental let in Torrevieja. After the year the tenant has the right to renew for up to five years and the landlord can only increase the rent by the annual rate of inflation. So what’s the problem! Well because the tenants have so many rights, after a year you will find many landlords will want you out and will get different tenants in. It means you have to move over and over again but the upside is you experience living in different types of houses in different areas of Torrevieja. In any case, after a year’s long term rental or long term let you probably have a better idea of where in Spain you would really like to live now – it may not even be in Torrevieja – almost certainly it will be in a different area to the one you would have chosen before you moved to Torrevieja. HOW MUCH DO LONG TERM LETS IN TORREVIEJA COST? It costs approximately €650 euros a month to rent a 2 bed apartment in Torrevieja on a long term let or long term rental basis. It costs approximately €750 euros a month to rent a 3 bed apartment in Torrevieja on a long term let or long term rental basis. It costs approximately €1000 euros a month to rent a 2 bed villa in Torrevieja on a long term let or long term rental basis. It costs approximately €1300+ euros a month to rent a 3 bed villa or 4 bed villa in Torrevieja on a long term let or long term rental basis. Very nice view to the SALINAS, were the sunset goes down by the end of the afternoon nice view, Very near to the Naufragos beach. A great place for the cold days. With eight months good weather Torrevieja is the place to be. A large English speaking community is present and many local activities are arrange. You can also take Spanish courses if you wish to integrate and learn about the Spanish culture. If you are a sea lover, fancy good food and love the good weather this is the place to be!! The apartment is finished in a Mediterranean style, with wooden beams in the living room, marble floors, built-in wardrobes and shelving, etc. Las Atalayas de Aldea del Mar Residential Complex is located just a few metres from the sea, with communal swimming pool and 24 hours security. The complex is one of the most charming developments on Spain´s Costa Blanca where you can find carefully conceived interiors, viewpoints, small squares, lattice windows… in every corner you can feel the genuine essence of Mediterranean architecture. The fully furnished 2 bedrooms apartment. The housing estate is located in the excellent area, with the developed infrastructure. Within walking distance supermarkets, banks, restaurants, shops, playgrounds, drugstores, schools, beautiful walking embankments and many other things. Several minutes to the downtown with pedestrian zones where you will find a set of shops of fashionable clothes and cozy European cafes. Together with the apartment the place in the parking, also in property is offered. In the apartment: furniture (kitchen, sleeping, 2 bathrooms, the TV, upholstered furniture), household appliances (the furnace, the Microwave oven, the refrigerator, the conditioner), is ready to accommodation. Privacy,no properties in front view,mostly retired people living in this area. 3Bed Townhouse ,newly decorated,good security,retired neighbours, Very peaceful,good views from roof tops. Ground floor with garden and bbq. Opposite pool and next to a lovely green area with drinks and snacks available, where you can meet friends for a chat. There is a friendly family atmosphere throughout the complex and extended areas. Local pharmacy, shops bars and restaurants. 15-20 minute walk to the beach. Bus stop right outside complex. Large modern kitchen, smart tv in lounge, comfortable seating and bedrooms. Relax under the canopy and watch the sun go down. South west facing. 2 Beds, 1 bathroom with large modern kitchen and spacious lounge and dining area. Private tiled garden with bbq. Room for parking. Opposite pool area and garden. Local bus and shops, bars, pharmacy etc. Available for long term rental from 2 to up to 6 months, bright, airy and centrally located apartment with open kitchen and laundry room. It has its own terrace for relaxing and full access to the indoor swimming pool for all year use. The markets, restaurants and amenities are at your door step with the lovely Playa del Acequion beach 14 mins walk away and the promenade sea front 8 mins walk away. The beautiful gardens and lovely park that is the “park of nations” is right next to the apartment. To show you what you can expect to be able to rent we have a video below of an apartment available for a long term let at only 275€ per month. Ideally situated in the town centre close to all amenities and local bus routes, beaches, new harbour. Recap: This page is about long term lets in Torrevieja. Information for people looking to rent long term in Torrevieja. Hi, me and my man are searching new long term apartment as soon as possible. 2 bedrooms and 300-400€ per month. Do you have that kind of apartments free? Please and contact me. Thank you. interested in the one at £520 per month from 4th December for 3 months is there a lift? Retired couple with small dog Interested in a September to April rental. Two bedrooms. Access to terrace or solarium in Torrevieja can you recommend ? Is the one above available the €275 a month? If it is please email me and we can talk further. Still available above…. 275 euro monthly? I have friends who may be interested in the rental. Is it ground floor? If not, is there a lift?….and of course is it still available?